If you’re an urban straphanger, you’ve likely devised a scheme to deflect the barrage of advertising messages that besiege you at every turn. Just make like a zombie and zone out. But Re+Public, a coalition of artists and public space advocates, thinks there’s better commuting through augmented reality. 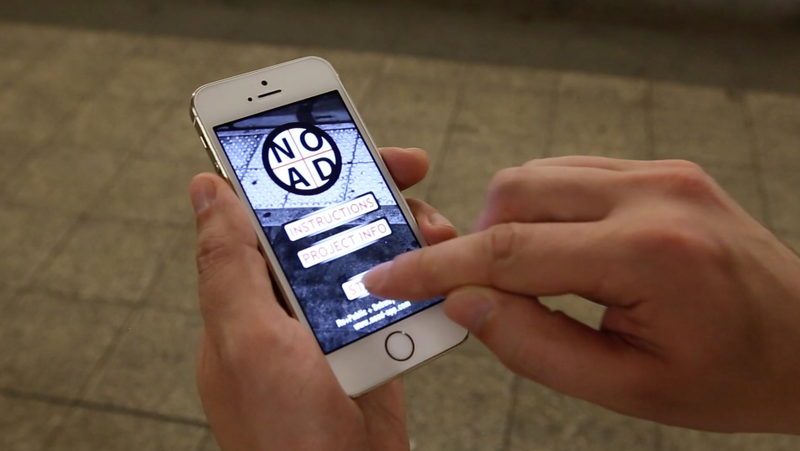 The group has been beta testing its NO AD app for iOS and Android, which acts to replace 100 of the New York City subway’s most common ads with curated digital art that you can view through your mobile device. Beginning in mid-October, the app will display images from the International Center of Photography. 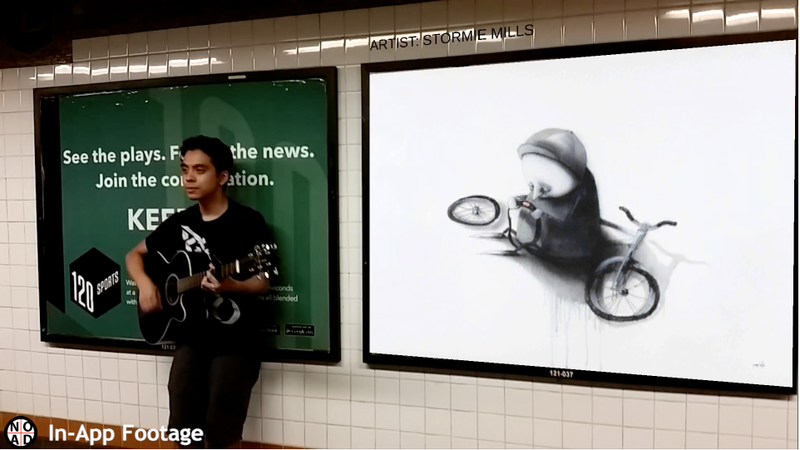 Instead of tuning out that underground material world, Re+Public promotes it as a digital gallery space that replaces the subway’s large framed ads with original works of art — even if it’s for your eyes only. The app will not work with ads that have been defaced or tampered with. And yes, you do have to actually view the ad before you can visually replace it, so it’s not a perfect solution. But hey, you have to start somewhere. 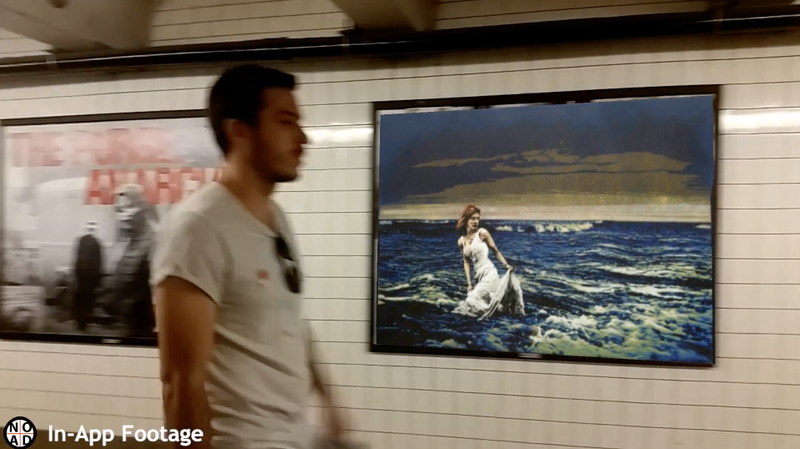 Re+Public — comprised of PublicAdCampaign + The Heavy Projects in collaboration with Jowy Romano who produces the Subway Art Blog and activist Jordan Seiler — plan monthly updates of the online art offerings to keep the content fresh. 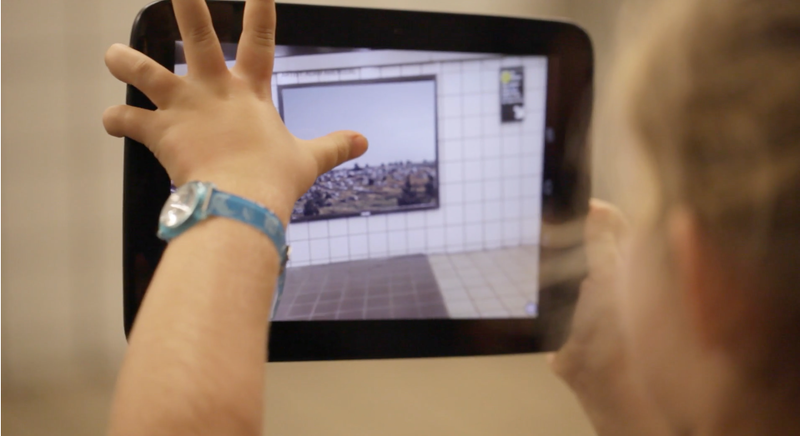 Visuals will span genres such as street art, photography, music, poetry and motion graphics. The San Francisco Bay Area, for example, has two major underground systems: Muni and BART. I’m certain locals would be thrilled to experiment with anything that got between them and yet another ad. Then too, such a concept will need a little more technical help than perhaps exists at the moment, and may heavily rely on wearable tech like Google Glass to make it more convenient and enjoyable. “In the future, when headsets similar to Google Glass are widespread, software like NO AD could be used to replace ads without having to hold up your phone, kind of like a real life ad blocking app,” Romano said. Regardless of where you are, you can check out how NO AD works by downloading the free app and testing it out on the developer’s sample page.